One of our Core Values here at PowerObjects is “Live the Technology,” and it’s not just our consultants and developers who live that motto, it’s the whole team! In today’s The CRM Minute, we hear from Terah Ramaekers, our Director of Talent Acquisition, about how she and her recruiting team use Dynamics CRM to track applicants through the recruiting process. From applications to hiring to onboarding, we use CRM to manage the whole thing, showcasing how versatile Dynamics CRM really is! Hi, I’m Terah, and I’m here to give you insight into talent acquisition and onboarding here at PowerObjects, and how we use Microsoft Dynamics CRM in our process. At PowerObjects, we focus on hiring on our core values which are always add value, think team, love what you do, do the right thing, and live the technology. To show how we’re living the technology, we use Microsoft Dynamics CRM for as many things as possible including our applicant tracking system. There’s a web form on our website that allows candidates to enter their information, that flows into CRM, and then we are able to move those candidates through the recruiting process. One of our exciting hiring initiatives at PowerObjects has been our Consultants in Training program which we refer to as CIT. This is where we bring in experienced professionals with little or no CRM experience and we give them classroom style and on the job training so they are fully prepared to be expert CRM consultants. When onboarding new hires, it’s very important to get them involved in the organization as quickly as possible. We recently integrated more CRM and Microsoft technology into our onboarding process in a couple of different ways. First of all, we implemented a PowerObjects trivia game through our PowerTrivia add-on. PowerTrivia sends our new hires a link to a question through text message. They click that link and then they have to figure out what the answer is, a lot of times encouraging them to go ask their coworkers for help. All of that data feeds back into CRM and we’re able to track who’s winning. We also have our new hires do a photo-based scavenger hunter facilitated through Yammer so the entire company can see what they’re getting into on their first week. Using these helps us engage our new hires in a fun and interactive way. 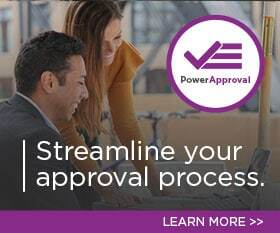 The PowerObjects talent acquisition team is always looking to connect with great people. Follow us on Facebook, Twitter, Instagram, LinkedIn, and go to our website to sign up for our career newsletter. Thanks for watching The CRM Minute! August 9, 2018 Eric Ortiz	Be the first to comment. September 7, 2016 powerobjectsweb_o6z0dz	Be the first to comment. October 11-14 is CRMUG Summit 2016, an annual user-centric summit where you can learn to maximize your implementation of Microsoft Dynamics CRM.